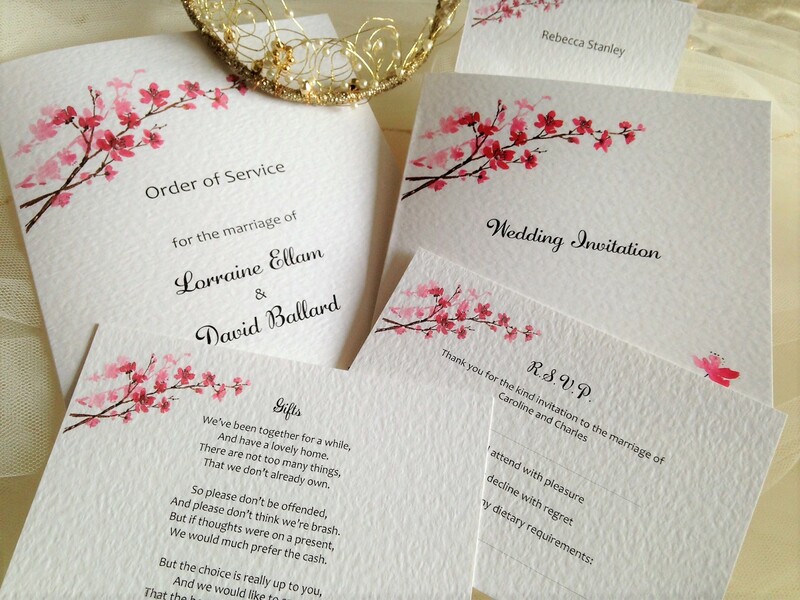 Cherry Blossom RSVP cards and envelopes or reply cards are available in either white or ivory heavy hammered card (270gsm) to match your Cherry Blossom wedding invitations. 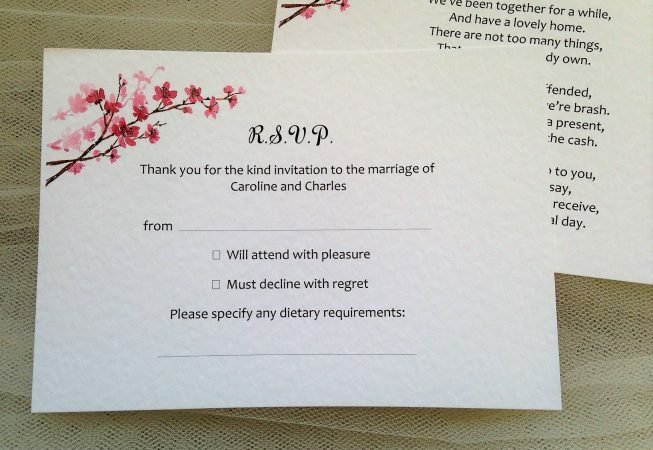 Ensure you get a reply from your guests! Two sizes available, same price A6 or A7. Reply card will have the response details on the card and the envelope will have your return address printed on it. 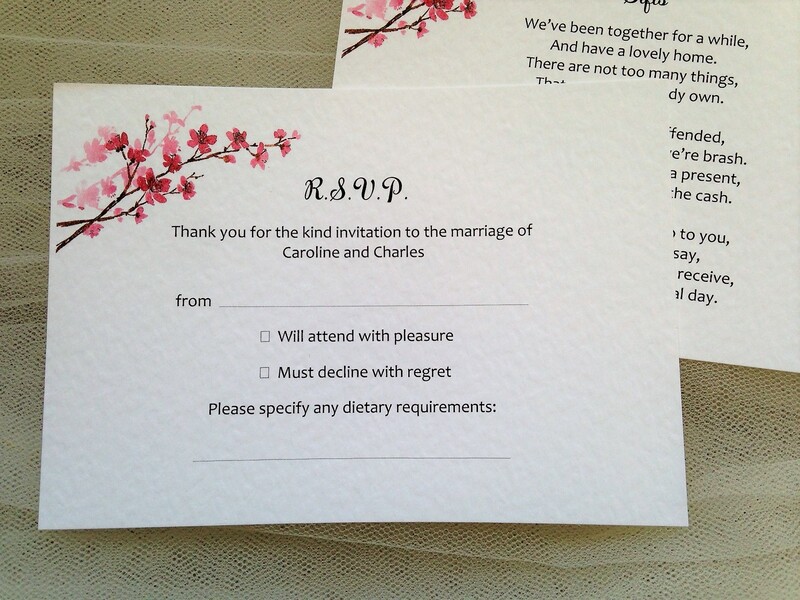 All your guests need to do is complete the card, put it in the envelope, pop a stamp on and post back to you. Please advise at time of ordering if you’d like the tick box style and if you’d like them in A6 or A7 size (price is the same). We can include additional questions ie. special dietary requirements, number of guests attending or song requests for the evening reception. Printed in any font style or colour of your choice. 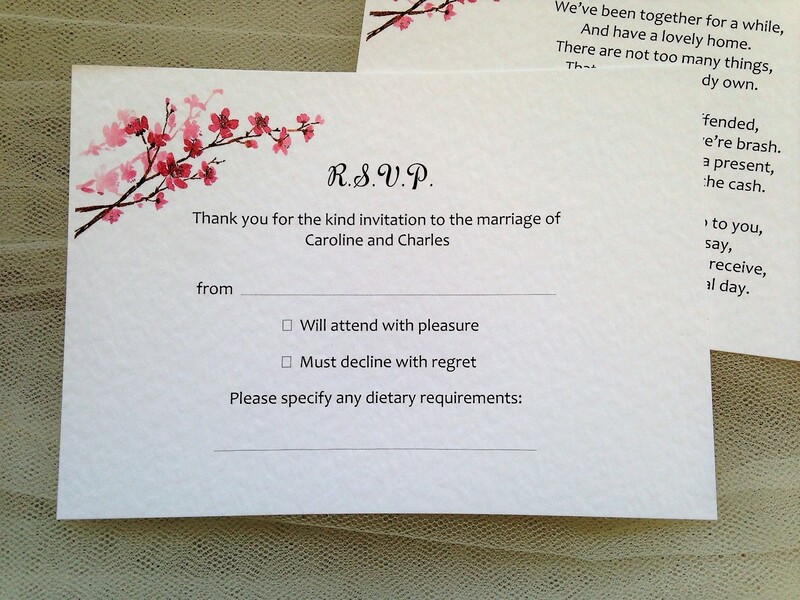 Cherry Blossom RSVP cards and envelopes form part of the Cherry Blossom Wedding Stationery Range.